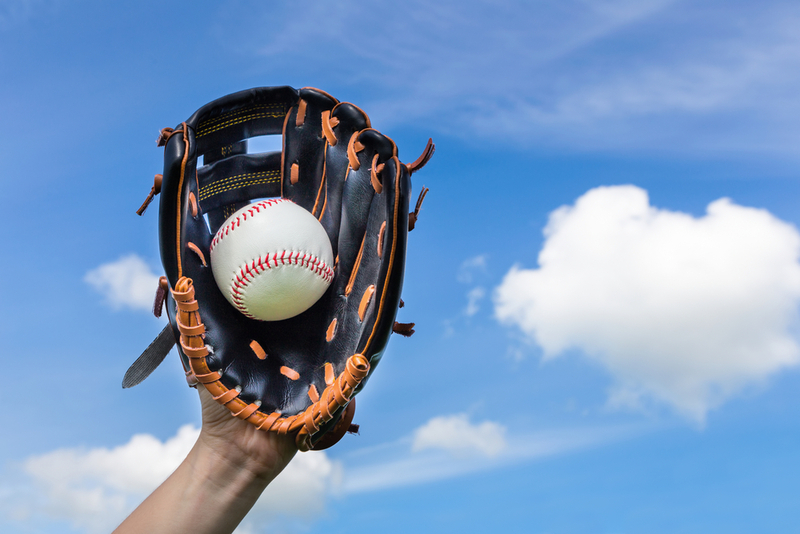 THERE some lively races in area baseball and softball competition (Shutterstock). 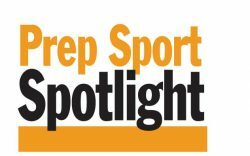 The spring breaks are finally over – we think – and it’s time to take a look at how the local races stand for baseball and softball. Empire League baseball: Cypress (19-3 overall, 4-0 in league) and Kennedy (18-6, 3-1) are the elite this year, with Pacifica in fifth (8-12, 1-3). Empire League softball: Pacifica (8-3-1, 3-0) leads over Cypress (14-7-1, 3-1) and Kennedy (13-4, 3-1). Mariners will host the Fighting Irish today (Tuesday) in a key game. Garden Grove League baseball: Loara (10-7, 8-0) has a half-game lead over Rancho Alamitos (11-6, 8-1) with La Quinta (11-7, 5-4) in third. Garden Grove League softball: Four teams are still in the running, but Santiago (16-0, 3-0) looks like the team to beat. Loara (10-4, 3-1) is in second with La Quinta (9-4, 2-2) and Rancho Alamitos (5-10, 2-2) tied for third. Golden West League baseball: Ocean View (16-9, 11-0) is running away with this pennant, as Segerstrom (13-8, 6-2) and Garden Grove (12-9, 6-3) race for second. 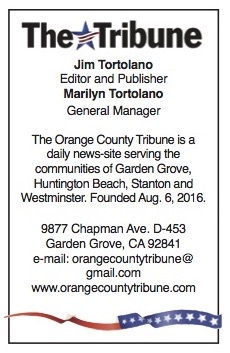 Grove visits Ocean View today. Golden West League softball: Godinez (15-3, 5-0) is out in front with Ocean View (8-9, 4-2) and Segerstrom (11-9, 3-2) in second and third. Following are Westminster, Garden Grove and Western. Orange Coast League baseball: Costa Mesa (9-6, 7-2) has a one-game lead over Orange (10-10, 6-3). Orange Coast League softball: Calvary Chapel/Santa Ana (12-4, 4-0) leads the pack. Orange (0-18, 0-11) is tied with Saddleback (0-1, 0-4) for fifth. The Panthers will visit the Roadrunners on Wednesday. Sunset/Surf League baseball: Huntington Beach (16-4, 3-0) and Edison (14-8, 3-2) are the leaders here. 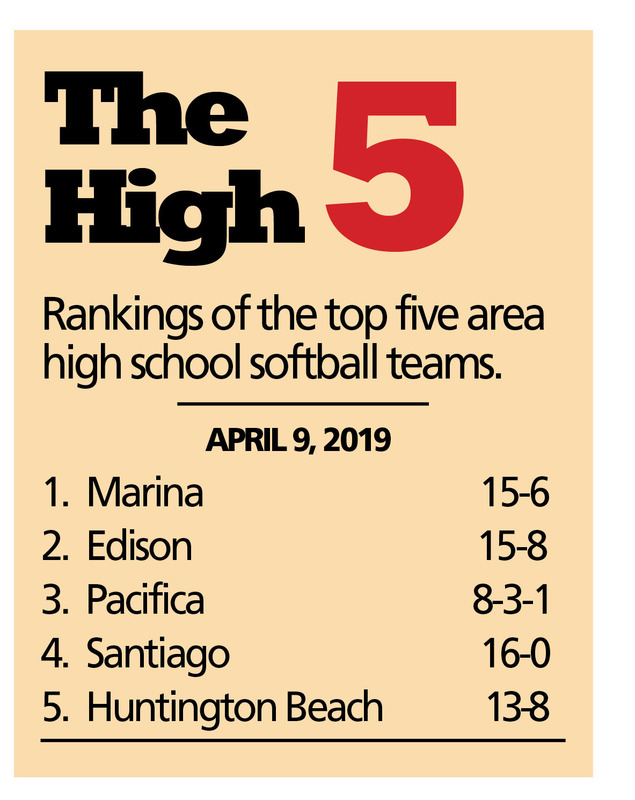 Sunset/Surf League softball: Marina (15-6, 4-2) and Edison (15-8, 4-3) are one-two with Huntington Beach (13-8, 5-5) in third. The Vikings and Chargers will meet Thursday at the Charger diamond. Sunset/Wave League: Marina (14-9, 3-2) is tied with Laguna Beach (14-8, 3-2) for first. Here are the latest polls for spring sports, ranking teams serving the communities of Garden Grove, Huntington Beach, Stanton and Westminster. Division 7: La Quinta (second). Division 5: Los Amigos, Santiago (both received votes). And now the local results …. Here are The Tribune’s own ranking of area softball and baseball teams. 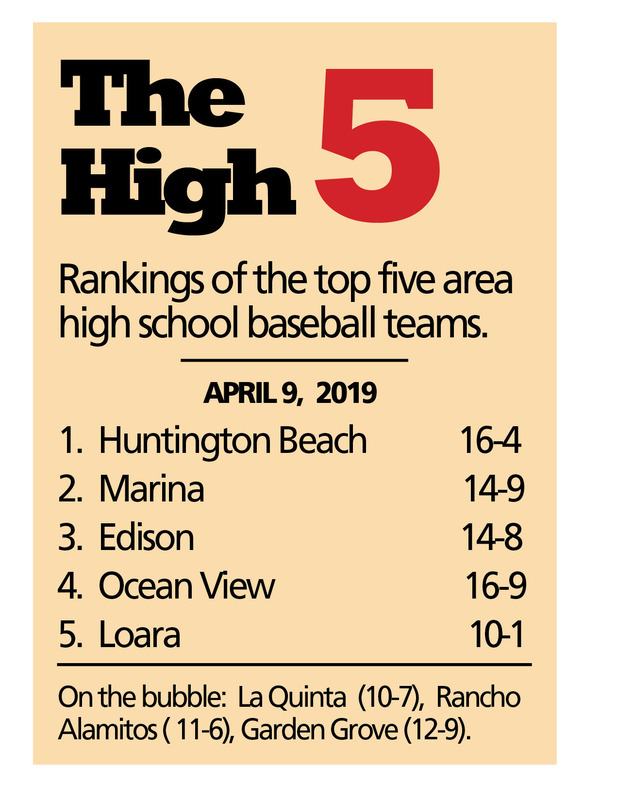 As you can see, Huntington Beach again got the top ranking, for making it to the final consolation of the National High School Baseball Invitational, which draws many of the top powers from across California and the nation. The Oilers have an overall 16-4 record and are 3-0 in the Sunset/Surf League. The Oilers and second place Edison (14-8, 3-2) will meet on Tuesday, April 23 and Thursday, April 25. Marina is the number one team in our softball ladder. The Vikings are 15-6 overall and 4-2 in the Sunset/Surf League. Marina and Edison (4-3) will clash in a league crucial on Thursday at the Charger diamond. A note about polls like these.Let’s be honest: there’s no way to scientifically compare teams, especially if they haven’t played the same opponents, or each other. Additionally, the strength of a team varies over the course of a season due to injuries, luck and more. So if you are miffed for not making this or any other poll, don’t be. We’re just making guesses, but people seem to love their top 10s. So we continue.